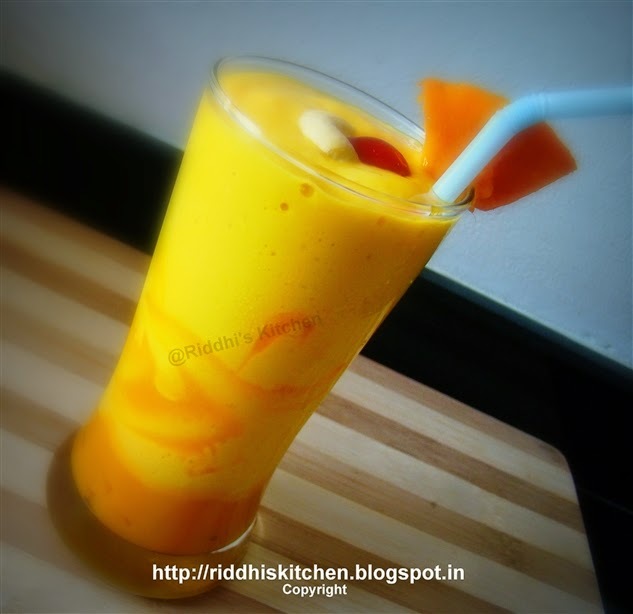 Take one blender, add frozen milk, vanilla ice cream, 3 tablespoons mango pulp, cashew nut, blend well. Take one serving glass, pour 2 tablespoons mango pulp. pour thick shake. Garnish with cherry and cashew nut.